Sunday, as the Pastor ended his teaching, he said we would now sing a great hymn, A Mighty Fortress Is Our God. I noticed on the bulletin for the day that it was the closing hymn, but I wondered why there was no hymn number as usual; after all, it is in our hymnal. I soon found out! The band started a musical introduction that had nothing to do with the hymn, which had me really confused until the overhead noted that Matt Boswell was listed as one of the authors. Oh brother! Another person without much imagination stole a song and added a bridge/chorus with a whole different tune, which was added after verses three and four, with that last time repeated. And don’t forget the obligatory instrumental bridges between verses. Since you know the real song, let me show you the bridge/chorus, and you can listen to it here. For this tiny addition Matt is probably earning thousands of dollars with his theft. The whole point is to get excitement going — manufactured enthusiasm — with increase in octave and band action. This piece was meant for recording and selling — what I call a “radio song.” It should not have been brought into the assembly. No one, who hadn’t heard the recording previously, would have any idea of the tune and lyrics of the fraudulent addition to the stolen song. Were the added lyrics okay? Yes. Was the added tune fairly easy to learn? Yes. However, I’m really tired of the Church pandering to these lazy artists who steal to enrich themselves, and pandering to the younger generations who can’t handle a hymn sung with dignity. Today I’ve got a back log of links to share with all sorts of articles. Also, I’m still looking for homes for lots of books, as listed on this post. I’ve already sent out 15 books from the list (I deleted those no longer available)! Transubstantiation and Jesus’ words at the last supper. Transubstantiation and 1 Corinthians 10:16. Transubstantiation and 1 Corinthians 11:27-29.
Who were the Pharisees? Looks like they had four good doctrinal positions. Contrary to the claims of Jehovah’s Witnesses and Seventh-day Adventist, the archangel Michael is NOT Jesus. And for the Mormons, he isn’t Adam either! Biblical prophets vs modern prophets — some good thoughts. Six misconceptions about the New Testament. A great list of scientists who disagree with Darwinism. A Brief History of Bible Translations. Discerning people KNEW the claim about a trip to heaven was a lie, but Tyndale was more interested in making more money than protecting the flock from false teachings. 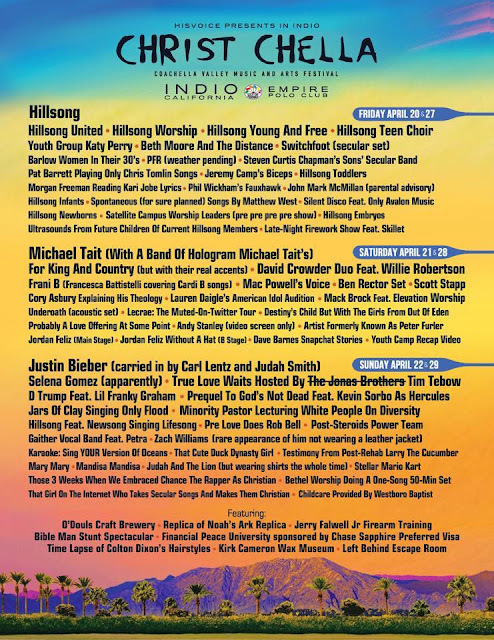 Bethel Redding’s Bill Johnson — Again. Run from Bethel Redding as fast as you can! 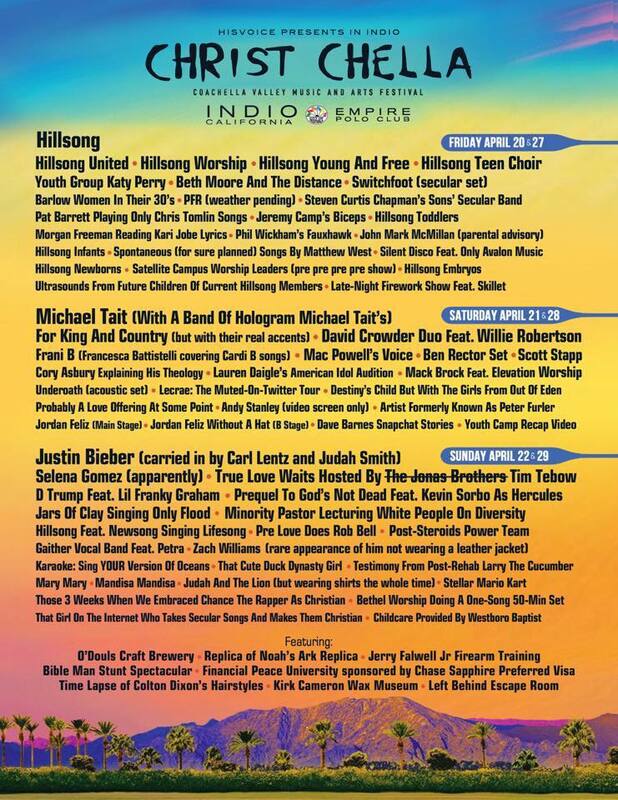 Brian Houston of Hillsong is downright heretical. The “Jesus is my boyfriend” ideology just keeps spreading. Mark and beware of the authors noted in this article. Matt Chandler is now giving prophecies. More proof that Steven Furtick is not qualified to be a pastor. More proof that the Roman Catholic Church is anti-God; the Vatican and other Catholic sources are spending millions of dollars to support illegal immigrants. I thought Christians were supposed to obey the laws of the land! Even worse, the Pope is teaching heresy! Another article proving the Episcopal Church no longer has a right to consider itself Christian. Oh, if this were only true! If anyone asks me, “What is the best safeguard against false doctrine?” I answer in one word: “The Bible—the Bible regularly read, regularly prayed over, regularly studied.” We must go back to the old prescription of our Master: “Search the Scriptures” (John 5:39, AV). If we want a weapon to wield against the devious schemes of Satan, there is nothing like “the sword of the Spirit, the Word of God.” But to wield it successfully, we must read it habitually, diligently, intelligently, and prayerfully. This is a point on which, I fear, many fail. In an age of hurry and frenzied activity, few read their Bibles as much as they should. More books perhaps are read than ever, but less of the one book which makes men wise to salvation. Roman Catholicism and liberal theology could never have made such havoc in the church if there had not been a most superficial knowledge of the Scriptures throughout the land. A Bible-reading congregation is the strength of a church. To tell us, as others do, that clergymen ought never to handle controversial subjects, and never to warn their people against erroneous views, is senseless and unreasonable. At this rate, we might neglect much of the New Testament. 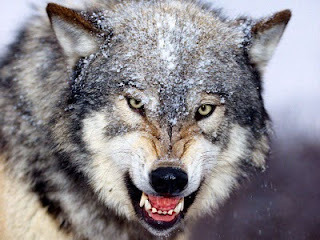 Surely the dog that does not bark and the sleeping shepherd are the best allies of the wolf, the thief, and the robber. Christian heresies throughout history. Good history lesson as well as a good lesson on heresies still invading the church. “White evangelicalism”?! This is the kind of nonsense you get from those who teach a social gospel while leaving the soul-saving gospel in the closet. What the people at Bethel Redding really worship! Kris Vallotton - One of Bethel’s “pastors” — Wealthy, false teaching, prosperity pimp. Blaming Christians for Muslim behavior is another proof that the Pope is an ignorant pawn of Satan and not a man of God. It also appears that he claimed that there is no hell. Pure heresy at a Catholic school. Steven Furtick — How can people call themselves Christian and still follow this theologically ignorant narcissist? Stovall Weems: Another mega-church pastor telling serious lies to his congregation. Here’s another report on the situation. Here’s a more complete video of his claims. Notice like standard charismatic nonsense, he says the Holy Spirit” was very “heavy” in his church. Lots of lying here. Narcissist Beth Moore never shuts up! Word of Faith teachers brag about their wealth — taken from gullible followers. And they can’t heal anyone, regardless how many times they claim the healing is taking place. Excellent proof of their fraud. You really need to watch both videos! Francis Chan — he gets worse all the time. Kyle Howard — I never heard of him before, but he’s another person to avoid. His whole testimony is full of holes, and he seems to be just another “evangelical” narcissist. KJV Onlyers require clear covers so one one can hide an NIV—It must be true because I saw it on the Internet. I guess it would be difficult to tell the difference between a mall and a mega-church. These quotations are from 2009 posts, which I thought needed to be brought up again! You'd think Tozer was sitting in today's churches and listening to their "praise" choruses! The church has lost her testimony. She has no longer anything to say to the world. Her once robust shout of assurance has faded away to an apologetic whisper. She who one time went out to declare now goes out to inquire. Her dogmatic declaration has become a respectful suggestion, a word of religious advice, given with the understanding that it is after all only an opinion and not meant to sound bigoted. Pure Christianity, instead of being shaped by its culture, actually stands in sharp opposition to it. (Posted on the Apprising Ministries blog, but no reference was given). God took woman, nor from Adam’s head to be above him, nor his feet to be below him, but from his side that she might stand next to him. 1. 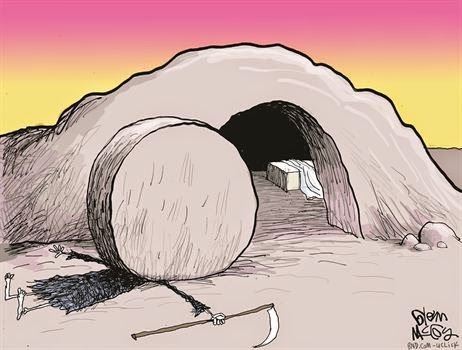 Low in the grave He lay—Jesus, my Savior! Waiting the coming day—Jesus, my Lord! 2. Vainly they watch His bed—Jesus, my Savior! Vainly they seal the dead—Jesus, my Lord! 3. Death cannot keep his prey—Jesus, my Savior! He tore the bars away—Jesus, my Lord!